Bringing disruptive innovation through convergence of Mobile, IoT, Cloud, Social and Analytics. When TTI decided to extend its product range to the digital world, [x]cube laid out the digital product strategy to enable the brand’s digital transformation. An enterprise mobile strategy is not restricted to a couple of mobile apps but leverages the convergence of mobile, IoT, social, cloud and analytics to create solutions that actively helps improve efficiency. This often times disrupts legacy processes to create high yielding solutions that redefines the way business is done. Our mobility strategy is built around the corner stone of Renaissance Enterprise that transcends the scope of mobility alone and applies to the overall digital strategy of a business. 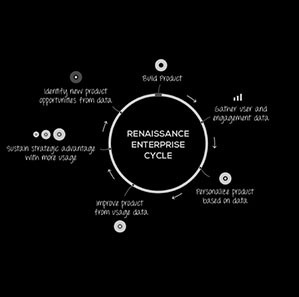 The concept of Renaissance Enterprise is developed around principles like personalization, feedback loop, self-learning products that puts the user/customer at the center stage. [x]cube can help you develop a robust, enterprise mobile strategy based on a roadmap that delivers seamless user experience across multiple channels. Our mobile strategy consultants also help with digital transformation, building Renaissance products that are smart, humanized, context-aware, boundaryless and constantly evolving to user needs. The journey to a ‘Mobile First’ organization starts with a single step- understanding your organization’s mobile maturity. 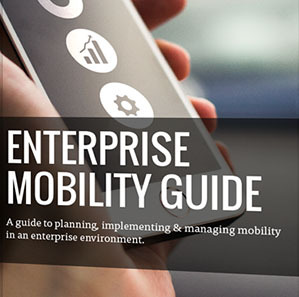 Many enterprises fail to realize the optimum RoI from their investments as they go about adopting mobility without first establishing an assessment of their needs, challenges, risks and resources. A mobile maturity assessment session with key stakeholders in your company with our experts will helps us define your organizational mobile readiness and maturity, identify and prioritize focus areas and give critical insights on business drivers, user needs and governance policies. And set the foundation for building and deploying an enterprise mobile strategy. Once the strategy is in place, the next step is to execute using the right enablers. 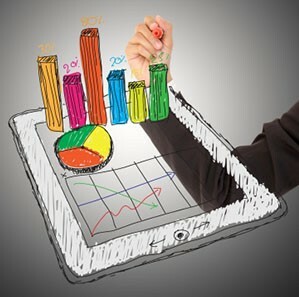 Our deep expertise in technologies like mobile, analytics, cloud, wearables and Internet of Things etc., in addition to experience working with many Fortune 100 companies in their mission-critical enterprise projects help us assist you in finding technologies that perfectly fit your vision, drivers, existing infrastructure, governance and compliance requirements. We have patented customer engagement, mobile analytics, contextual awareness platforms in addition to over 100 frameworks that can work as plug and play solutions for quick development. 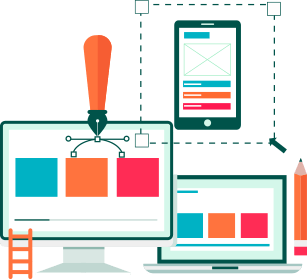 Our capabilities in building internet scale platforms, predictive CMS etc., offers your required scalability and flexibility to meet your needs, for today and in future. Most of the enterprises take siloed approach to their mobile adoption initiatives. 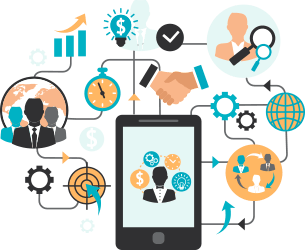 The processes, procedures and policies for mobile initiatives gets confined to a team or a function and is rarely disseminated across. 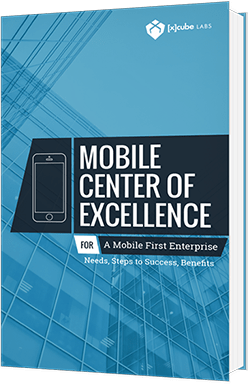 Enterprises looking to build ‘Mobile First’ organizations, gain sustainable competitive advantage and maximize RoI would need to build a Mobile Center of Excellence. 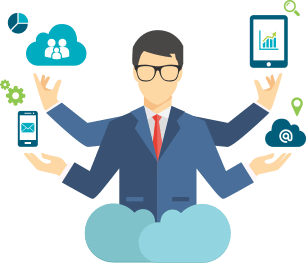 A MCoE would help drive collaboration and synergy across business units and facilitate scalable and strategic enterprise wide mobile programs Moreover, a MCoE can be an ideal vehicle to drive innovation across your organization. We can assist you in building a mobile center of excellence, define standards, policies and protocols and help you implement best practices. With experience building over 700 enterprise mobile apps and solutions that created over $2 billion in value for our clients- [x]cube is a leader in enterprise app development. From healthcare, retail to Oil & Gas, we have worked with Fortune 100 businesses across industry vertical and assisted many innovation-driven startups in becoming success stories in the mobile space. Over the years, we have expanded beyond mobile to build apps for wearables, Smart TV and Internet of Things. And our services just don’t stop with building mobile apps. 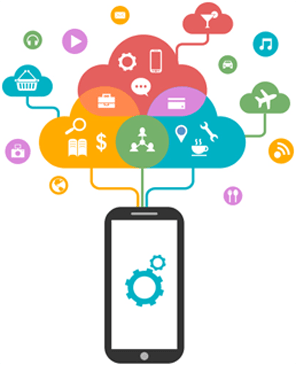 We offer complete app lifecycle services including testing, publishing, maintenance, upgradation and app marketing. Mobile security is a key concern among enterprises. [x]cube’s enterprise mobile security services can help you get complete visibility and control of the devices, apps and users in your organizations. To strengthen your security mechanism, we will help you choose the right platform and help you implement it to enable management of your devices and apps. In addition, we will also focus on securing your back-end integration and cloud deployment. 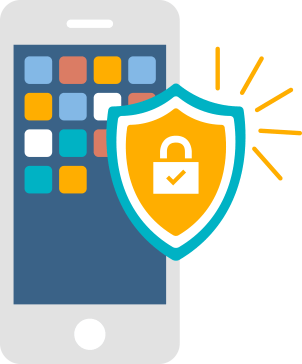 We will also help you establish best practices in mobile usage and governance to help protect your data from malware attacks and unauthorized access. Many industries like healthcare, telecom, banking etc., need to comply with regulations regarding user data and privacy. Our security experts can help you in regulation compliance by establishing right data security policies and protocols. [x]cube provides mobility strategy consulting and solutions to businesses endeavoring to become 'mobile first' organizations. Our mobile first workshop is the ideal springboard for you to embrace and enable mobile first philosophy in your organization. In our workshops, our enterprise mobility consultants will collaborate with your executives, to assess your current mobile maturity, identify opportunities and gaps, brainstorm new ideas to layout a comprehensive mobile first strategy to transform your organization into a mobile first enterprise. In the current digital world, design and gamification play a critical role in success of any product. Our design and gamification workshops are aimed at collecting insights from various stakeholders, defining user persona and then creating a highly customized design and gamification strategy that encourages your users to engage with your product and brand. We will also provide you with right solutions and services to implement your mobility strategy and achieve desirable results from your investments. View the project live in full color. Document with a single touch. Track via time stamps, geo tags. When South Carolina-based TTI approached [x]cube to help bring their Ryobi™ analog devices on to the mobile platform, we knew exactly what to do. Our results-driven engineering approach helped recreate a complete range of home improvement tools. 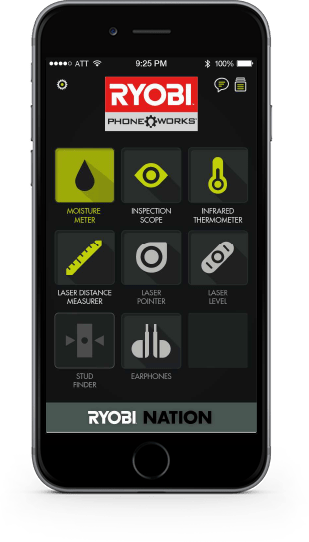 The outcome is the Ryobi™ Phone Works™ range of products.